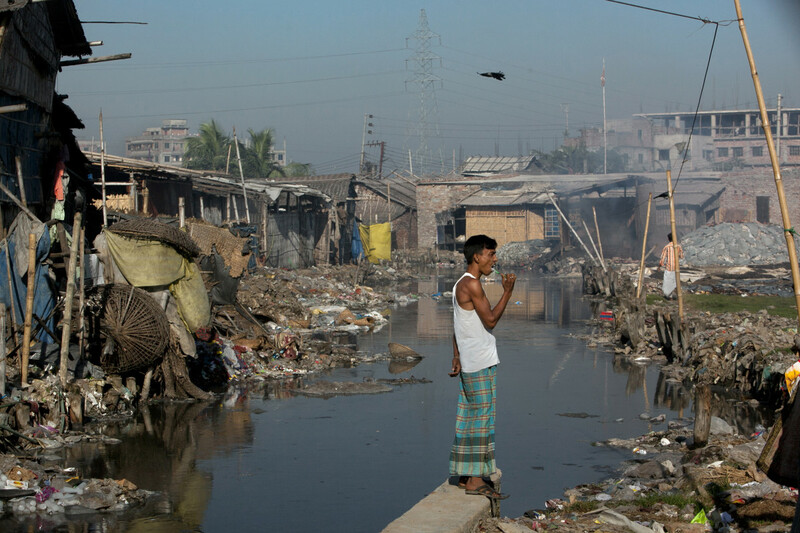 Dhaka, Bangladesh: Momin Mohammad, a leather worker, brushes his teeth by a canal near his home in the city's polluted Hazaribagh neighborhood. Each day, tanneries dump 22,000 liters of toxic waste into the Buriganga, the capital city's main river and key water supply. This photograph originally appeared in the February 2018 issue of Pacific Standard. Subscribe now and get eight issues/year or purchase a single copy of the magazine. 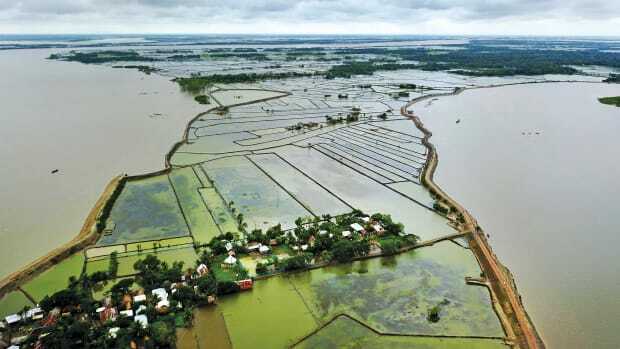 Gazipara, Bangladesh: In southern Bangladesh, soil embankments protect rise paddies from the Kapotaksma and Shakbaria rivers during the rainy season, but the heavy storm surges frequently destroy them. 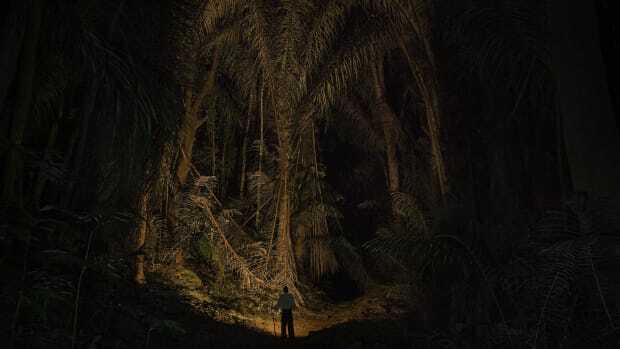 John Mganga walks through a forest at night near his former workplace, the Amani Hill Research Station. 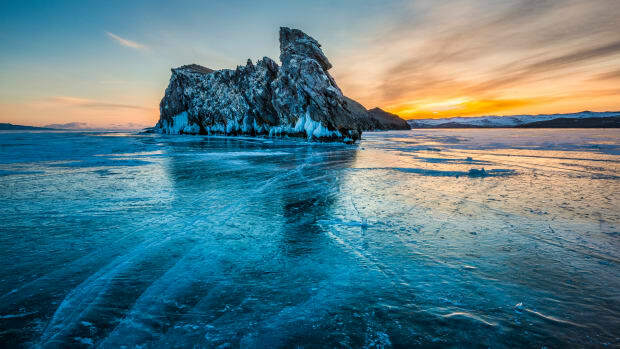 Siberia, Russia: A winter sunset near Ogoy Island on frozen Lake Baikal. With few passable roads, locals drive cars, jeeps, and even cargo lorries over the ice to shorten their journeys. 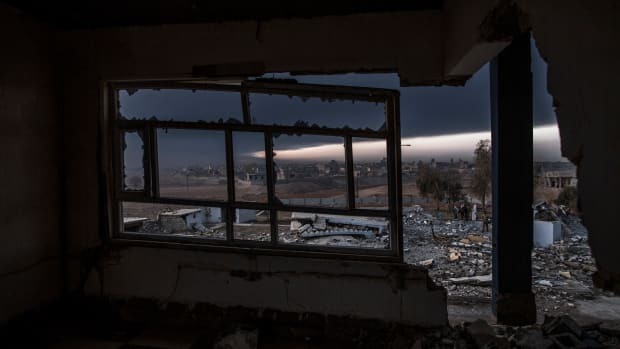 Haji Ali, Iraq: A view of the village—which has been ravaged by battles against ISIS—through one of its destroyed buildings. 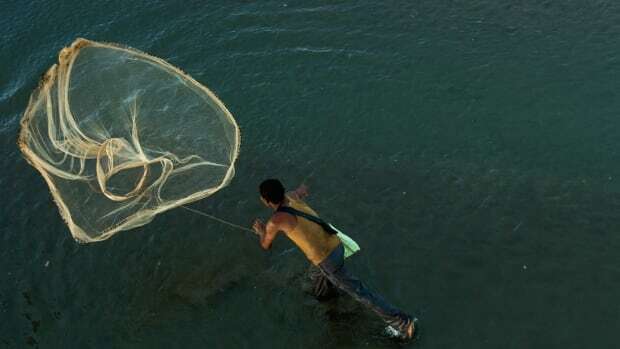 Assam, India: At sunset a fisherman casts his net on a tributary of the Brahmaputra River, where commercial overfishing has made it more difficult to operate. 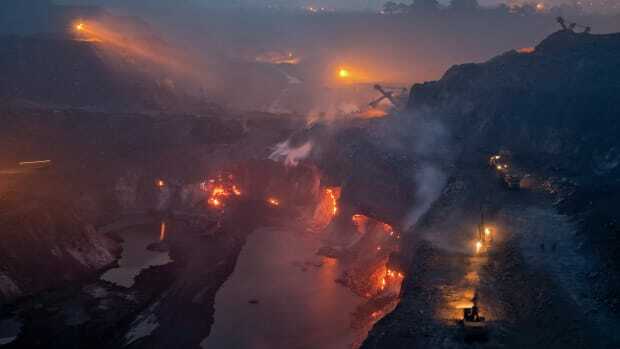 Jharia, India: An underground fire, which locals say first started in an abandoned mine here in 1916, still burns as workers tap the remaining supply of coal.